With surveyors and valuers you can discover the true price of a piece of land, a property or even an item. 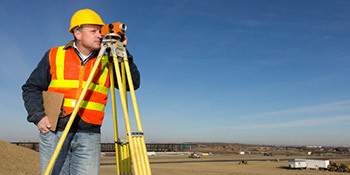 Surveying is needed for a number of reasons, for both land and construction purposes. Surveyors tend to be responsible for establishing maps, as well as deciding on boundaries for ownership. Just like surveying, valuers can be hired for a number of reasons too. You can have anything valued from your property, to hidden treasures. Valuing will help you make a decision on whether something is worth selling, or keeping hold of for a while longer. Surveyors and valuers offer different expertise, but are able to provide crucial information for both land and property matters. If you’re interested in receiving up to four FREE quotes from local, vetted and reputable professionals, complete our quick form below. Project: I need an independent survey of my newly installed upvc patio doors as I believe they are not fit for purpose. Project: To survey semi detached House in Filey, cover... All Roofs. Flat roof extension.subsidence, DPC internal walls... Loft space, Home buyers quote? what it covers? Project: we wish to sell our house and need a survey done to put the house on the market. Thank you. Project: I am renovating my home and am concerned if any of the paint in the property contains lead. It was difficult to complete the survey, they did respond very quickly and was very polite in manner but unfortunately they were not structural engineers, therefore I did not go on to the next stage with them. Prompt efficient response. Professional manner. The website was easy to use and I was informed of local surveyors within 24 hours.